Crab legs, crab claws, crab cakes, crab soup—choosing your favorite crab dish isn’t easy. 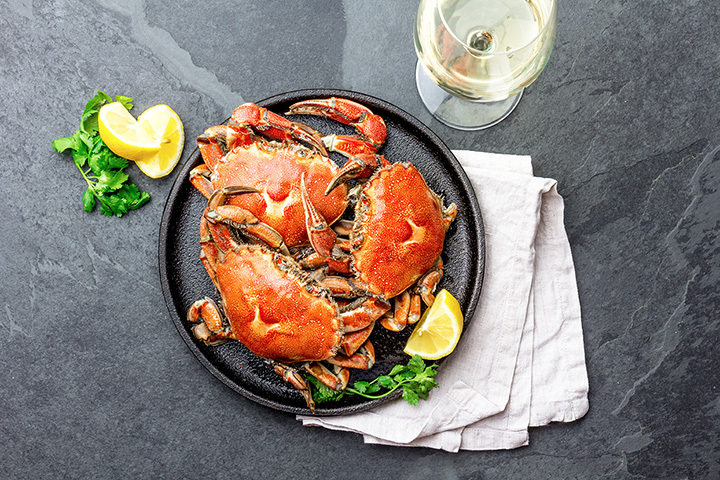 New Jersey’s got you covered with some amazing restaurants serving up all your favorite crab concoctions, freshly caught and cooked to perfection. For some truly incredible crab dishes, check out these 10 New Jersey restaurants. This cozy seafood house has everything going for it: welcoming environs, an outdoor patio for alfresco dining, and all the fresh seafood you could want. This is the first place locals go to for their seafood fixes, with tons of crab options lining the menu. Crab chowder, crab legs, softshell crab, crab cakes, and Maryland-style crabs have been fan tested and approved—and they pass with flying colors. More than just a creative name, this crab house is the best place to find blue crab. They’re serving up a delicious fusion of Vietnamese, Cajun, and seafood dishes, so you can get some of the best and most unique flavors in a single meal. King crab, snow crab, and Dungeness crab are also menu fixtures, so take your pick—you can’t go wrong. This long-standing NJ eatery is hands down the best seafood restaurant in town. If you’re craving crab, you’ll have tons of options to choose from. Crab chowder and softshell crab are tried and true favorites, but their crab fingers are a must with any meal. This seasonal favorite is an obvious choice for crab. Their crab cakes are the real deal, offering more meat than filler and served as a sandwich or as a standalone meal. Also, you won’t regret trying their fried softshell crab—they’re simply perfection! This long-standing seafood tradition has been serving up amazing crab and other fare for nearly 40 years. Tucked near the Ocean City boardwalk, they’re dishing out some of the freshest crab on the shore. Choosing just one meal is tough but go for the crab melt—you’ll be glad you did. This long-time crab house has carefully chosen their crab sources, so you can expect only the best. BYOB and take your pick of fresh blue crabs, snow crabs, king crabs, soft shell crabs, and Dungeness crabs, plus all the sides and fixings to make your meal complete. These guys know crabs, and you won’t find a better experience anywhere in New Jersey. They may have ‘oyster’ in their name, but rest assured the folks here know their crabs. Their fried tomatoes with crab meat app is divine, setting the state for a delectable meal to come. Their crab cakes are also a clear winner and provide the perfect complement to every dish. The menu itself is more along the lines of a fish market than a restaurant—the options are almost infinite! They’ve incorporated crab into almost every course, from apps to entrees to soups! Crab chowder, crab cakes, and the amazing crab & guacamole “martini” make it hard to choose just one. This award-winning restaurant and seafood market gets fresh crab and other seafood fare daily, so quality is always a given. Crab cake bites, cocktail crab claws, and King crab legs are all prepared from scratch to order in their restaurant. Or, head to their market to pick up some crab legs, claws, or soft-shell crabs for an exquisite meal at home. There’s no such thing as a bad meal here. They go the extra mile to source their seafood locally so you always the best possible catches. Folks flock here for the steamed blue crab claws, and one bite makes it easy to see why.